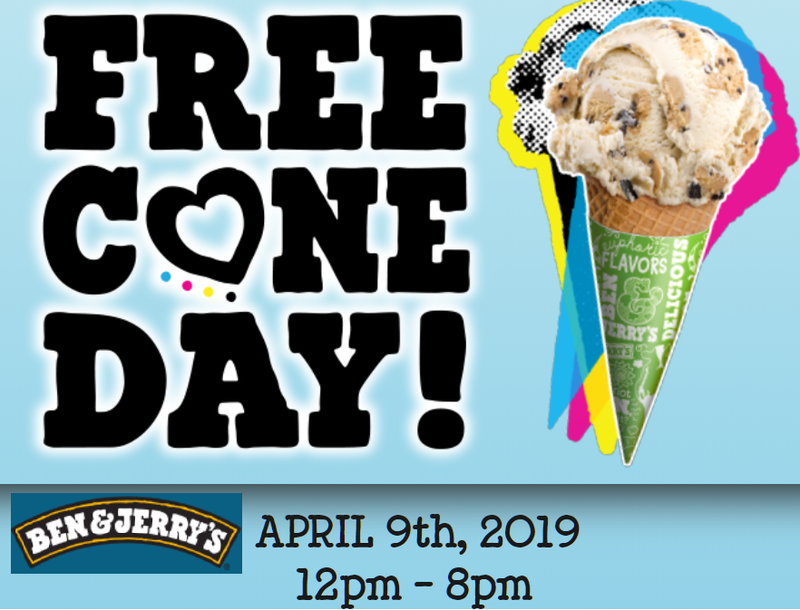 Free Ice Cream Cone at Ben & Jerry’s on Tuesday 4/9 Valid From Noon until 8PM local time. No coupon needed, no purchase required. This was posted on their Website here. 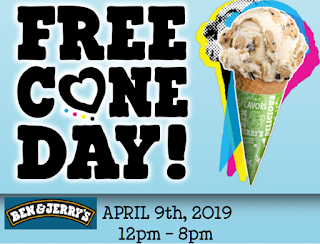 This is valid ONLY in their Ben & Jerry's Scoop shops. Click here for a store locator.